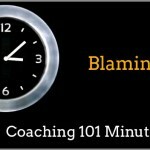 As coaches do we see the same sorts of negative perspectives showing up again and again? 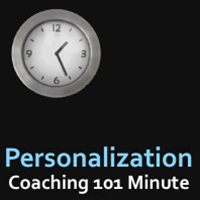 Personalization is a state of being or belief in which you perceive that everything people do or say is a reaction to you. I’m sure we all know someone who takes things personally, or we might do it ourselves from time to time. Of course a more severe form of this presents as paranoia and can be very debilitating. But we are not talking about that here, we are talking about a more mild, everyday case of just believing that what people say or do is somehow connected to you. So one of the things we teach at ICA is not to view this as right or wrong, I mean how would we know? It could be true. The thing is, it is not a very empowering perspective to believe it is true. So we encourage our clients to shift their thinking and adopt a perspective in which what people say or do is most likely nothing to do with them whatsoever. As soon as you do that you will notice a lightness in your client, and perhaps a shift from victim mode to action mode. Once again, we are not saying it is true, merely offering an alternative perspective, or way of viewing a situation that is more likely to result in the taking of positive action. And action of course is what coaching is all about. 1. Do I need to wait until I finish the course before starting to coach? The answer to this one is that at International Coach Academy we really encourage our coaches to start coaching as soon as they possibly can. Often this is a confidence issue and our Peer Coaching program helps enormously. In fact we find that students who get a coach early in the program tend to coach earlier too. 2. How do I create a coaching model from scratch? All ICA students create their own coach model, it is quite a unique thing we offer. Although your coaching model will be unique to you, it is not something you have to start from scratch. In fact there’s a lot of preparation that goes into creating your coaching model. For example there is the Theories and Frameworks Course which covers other coaching models drawing from disciplines like emotional intelligence, appreciative inquiry, cognitive behavioural therapy and psychology etc. You are also encouraged to create your coaching model based on your own expertise, knowledge and background. In fact it’s a smart move to take into what you already know in order to create something new. 3. Can I choose any niche I like? Is it a big enough market? There is no point coaching a very specialized group of people who are less than 100 in number across the world, and there is no point in coaching a group of people who cannot pay for coaching. This is just a reality, your niche has to be able to pay for your coaching. An example we often use is coaching homeless people. Most of our coaches come to us with the desire to change the world and make the world a better place, so it is not unusual for our coaches to want to coach disenfranchised groups of people. We’re not saying that this is not possible at all, but what we are saying is that as a coach you need to figure out a way for them to either pay (eg. you might get it funded) or have a high-end niche (like Executive coaching) to subsidize this coaching contribution.